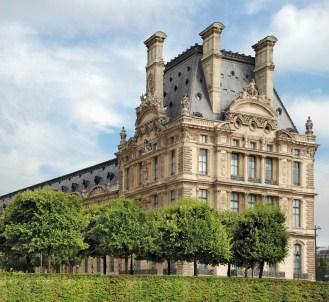 Paris' Le Louvre is one of the most famous museums in the world. Looking for a list of French cities? One of the interesting things about France is that it boasts a variety of cities from coastal havens to bustling metropolises. Of course, France also features a rich and colorful history around which many French cities grew up. Whether you're in the middle of France near the warm Mediterranean coast, you'll find a place to visit (or wish you were visiting) on this list of French cities, organized by region. Alsace shares a border with Germany in the Eastern part of France. Perhaps its most famous city is Strasbourg, which is the capital city of Alsace. It is seen as the model for coexistence between France and Germany, boasting a major university and a rich culture filled with both Protestantism and Catholicism. Auvergne is a central region in France with a very low population density. Its most important cities include Aurillac and Vichy (home of the famous mints). The major city here is Paris, which is the capital of France and is also the largest city in France with some eleven million people living there as of the 2008 census. Pays-de-la-Loire is located in the Western part of France bordering on Bretagne. Despite the confusing name, it is not the location of the many famous châteaux of the Loire Valley, but is at the end of the Loire River (the châteaux are towards Paris). Its principle city is Nantes, which serves as the capital.